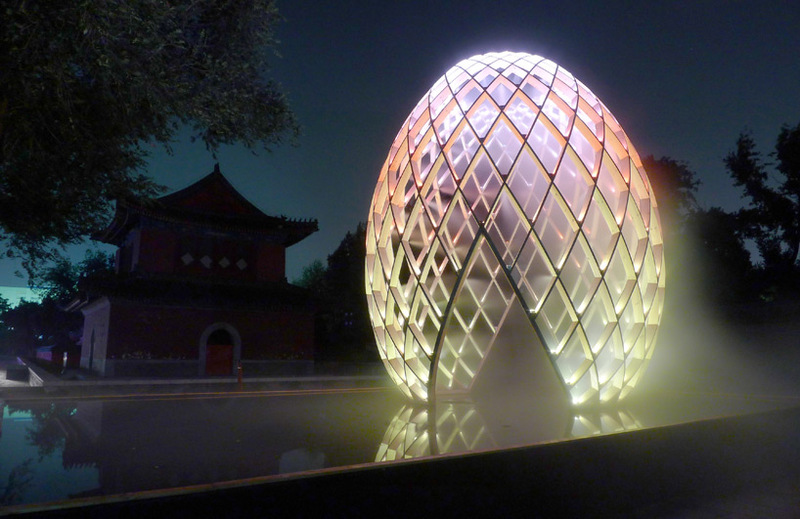 A sensory experience to live, in the heart of a luminous egg, symbol of birth, unity and perfection. 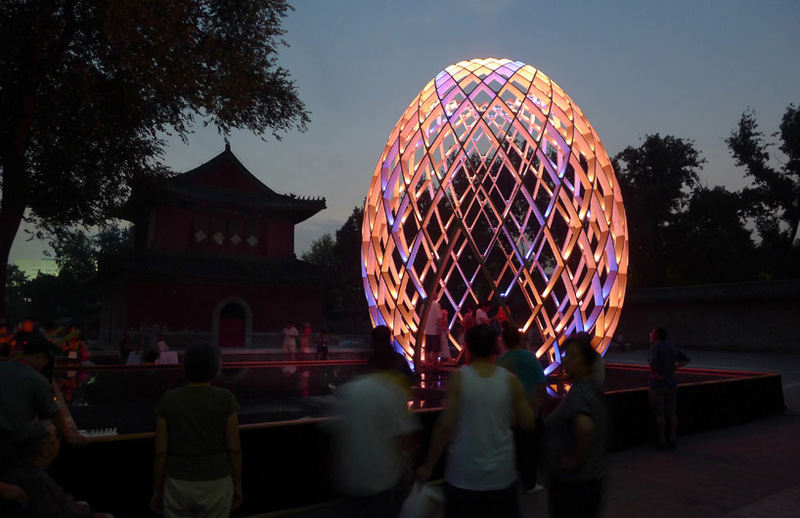 An installation by ACT lighting design (lighting & scenography) and Odeaubois (sculpture) at DITAN PARK Beijing. 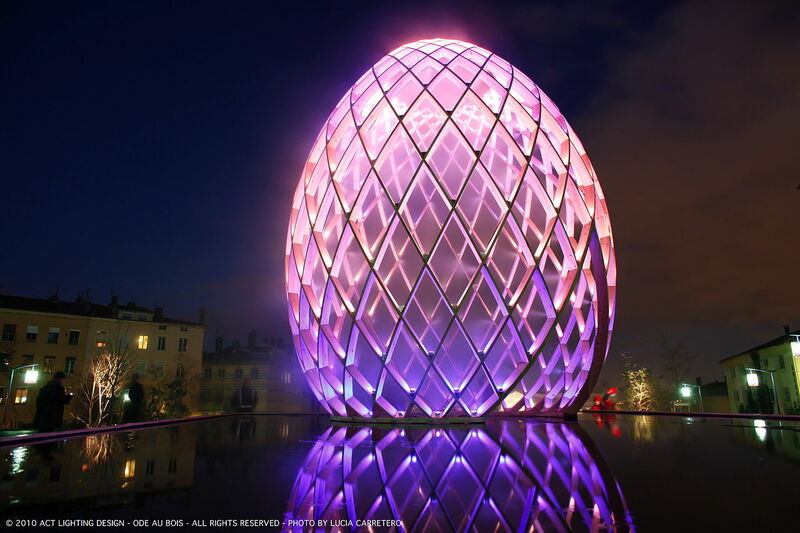 The purpose of OVO is to offer an art object, global and multi-sensory in scope, to which a dimension of a luminous event is added, provided by the plays of light and the visual and acoustic animations. The visitor is invited to walk on the water to reach the interior, as if to vanish into a metaphysical mist. 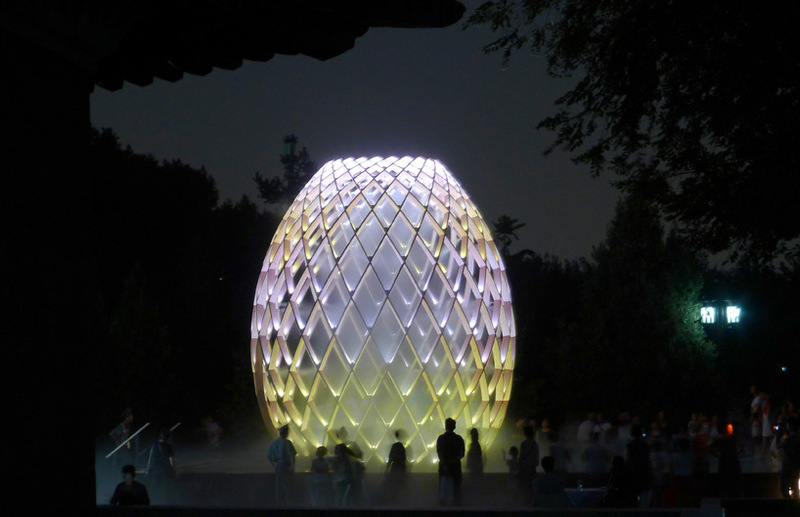 The watery surface reflects the egg-like structure, the lighting, and also the silhouettes of the visitors which bring the surface to life by their passage. 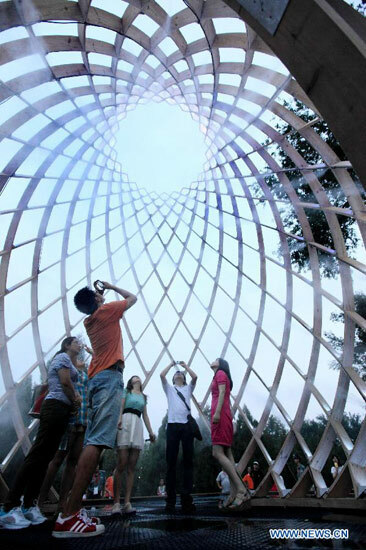 Seen from inside, the sense of intensity, of being drawn towards the sky, underlines the dynamism conveyed by the forms of the structure. 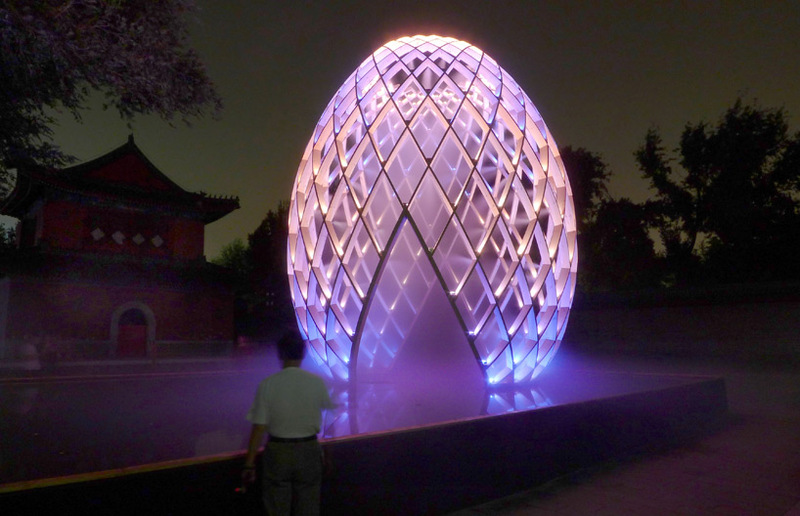 The framing features a lamellar lattice secured with semicircular lozenges to distribute the tensile forces and allow the use of a poplar wood, a lighter material. 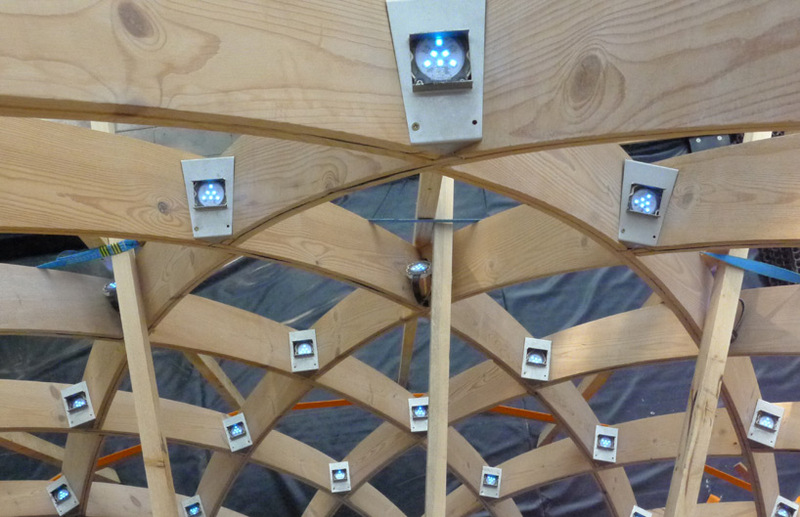 Scenographer marcos vinals was introduced into the project to generate a dynamic setting which culminates with an open ceiling plane to view the sky.